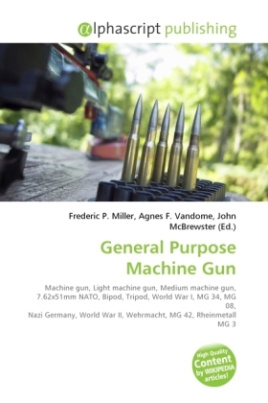 A general purpose machine gun in concept is a multi-purpose weapon, a machine gun intended to fill the role of either a light machine gun or medium machine gun, while at the same time being man-portable. However, performance in either role may be inferior to a weapon specifically designed for that role. In modern practice, they are air-cooled medium machine guns firing rifle cartridges such as the 7.62x51mm NATO. They are generally operated from a stationary prone position from either a bipod or tripod, or mounted on a vehicle, as they are usually too powerful and heavy to be fired effectively on foot from an unsupported standing position or on the move.